“God Has a Plan for Your Life!”…So What? I once had a friend who watched religious programming heavily – particularly the preaching ministries on Daystar or whatever other Christian channels were available. I used to listen to the radio versions of some of these shows long ago. They’re pretty educational at first, but after a while, they’re just grating. Yes, I know, preachers are supposed to remind us of the things we’ve already been taught far more than they’re supposed to develop new insights. But there are only so many times you can listen to the trite sloganeering that some of these programs offer when you’ve already put yourself through the “advanced class” of reading serious, deep theological works like those of the earliest Christians (the bulk of which is available to anyone for free at CCEL and The Tertullian Project). And once you realize that some of the most strongly-pressed doctrines on some of these shows are total lies (e.g., “once saved, always saved“), TV/radio evangelists really start to lose their luster. Think about it a second. Say God does have a plan for your life (and, again, I totally believe He does). Does that matter when you don’t know what the plan is? I mean, there’s the rub of the whole thing. It’s great to recognize and assert that God has a plan for your life. That’s something everyone should know. But what you don’t know and can’t know is whether that plan is something you’re going to like as it unfolds. You can’t assume that just because God has a plan for your life, that means you’ll find the love of your life tomorrow, have six bubbly kids you adore, and work your way into a CEO position making millions of dollars. You certainly can’t assume that because God has a plan for your life, you’re going to find oil in your backyard and then move on up to the East Side – I may have blended a couple of sitcoms there, but you get the idea. You can’t even assume that, because God has a plan for your life, you’ll live out the day! Which gets me to the reason this platitude is particularly irksome to me at the moment. 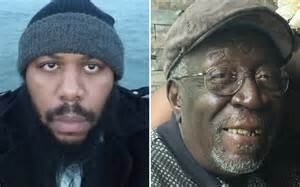 Two days ago, a 37-year-old man named Steve Stephens, irate over a woman and possessing a gun, livestreaming himself on Facebook for the world to see, randomly drove up to 74-year-old Robert Godwin, Sr., and fatally shot him in the face. 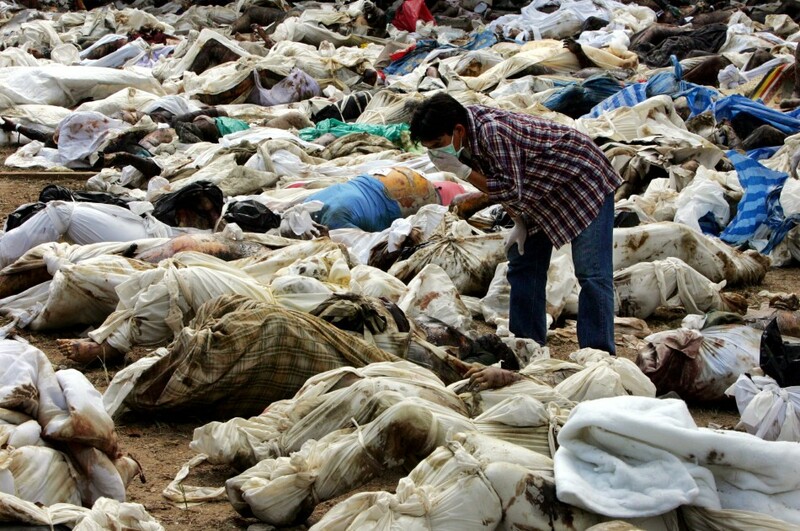 Here we have a 2004 Olympics judge scoring the Synchronized Suffering event. So all these preachers trying to comfort you by telling you, “God has a plan for your life” – come on, what does that even mean? Essentially, Jesus said, “Peter, God has a plan for your life!” And He elaborated that this plan would not have the kind of ending where you die peacefully in bed surrounded by your loved ones who are looking on (and hopefully aren’t mentally distracting themselves by doing inheritance math in their heads while you’re drifting away). If today’s preachers were worth their salt, then any one of them telling you, “God has a plan for your life…,” would follow up with an honest, “…and that plan might suuuuuuck.” Because, really, it might. You just…don’t…know. But you shouldn’t need to know, either, and here’s where we need to analyze what the TV/radio preachers are getting wrong. I think it can be summarized pretty simply: They’re misidentifying the point. Look how they structure what they’re saying: “God has a plan for your life.” What’s the point of that whole sentence? It’s your life, right? Your life is the point, and the message you’re receiving is that God’s got a plan that is going to modify your life. In fact, viewed like this, God’s plan matters only insofar as it improves your life. And that view is precisely backwards. What these preachers should be telling you is this: Your life is part of God’s plan. Phrased that way, the importance and priority is exactly where it belongs – on God’s plan – and your life is placed in the proper context – that of making God’s plan come to fruition. It isn’t God’s job to make things come out well for you. It’s your job to make things come out well for God. You have a role to play in God’s plan, so whatever happens, you play the role. That’s why Jesus, after revealing that Peter would one day be led to his death to glorify God, immediately commands, “Follow me!” He’s essentially telling Peter, “I need you for this!” So Peter went, knowing that it wouldn’t end well for him, and knowing that things going well for him was never the point. The point – our point – is to glorify God, in whatever He requires of us. We must recognize that our lives are part of His plan, and offer our lives to His plan. What is your part in that plan, exactly? If you’re like 99.999999% of humanity, you’ll never know until you reach eternity. All you can know is what behavior God expects from you. Jesus said, “If you love Me, keep My commandments.” (Jn 14:15) Focus on fulfilling that order, rather than expecting God to work a miracle in your life and make what is really your plan (let’s be honest here) – not God’s plan – come together. God does have a plan for your life, and that plan is for you to be of use to Him, no matter what your circumstances are. So turn the TV or radio off, and live your life for his glory – that’s all the plan anybody really needs. May Robert Godwin, Sr., having fulfilled his part in God’s plan, rest in peace.